Having used GVA twice a week since January I can say that it is on the whole a pleasant experience. 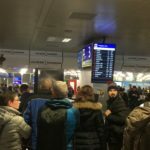 I always check-in online and so bypass the check-in desks but I can imagine that during peak periods it can be a frustrating experience the same can be said for security. I mostly travel during the early/late afternoons so security is rarely busy when it is I find it efficient and the staff courteous. My only gripe is those passengers that block the conveyor with their trays even though there are signs saying to keep moving. Once through security the departure area is airy and fairly well designed if you want to get away from the crowds follow the signs to the smoking lounge on the upper floor there is plenty of seating outside this lounge and it is never busy. I do find that the food is expensive and overall duty free is really no bargain. 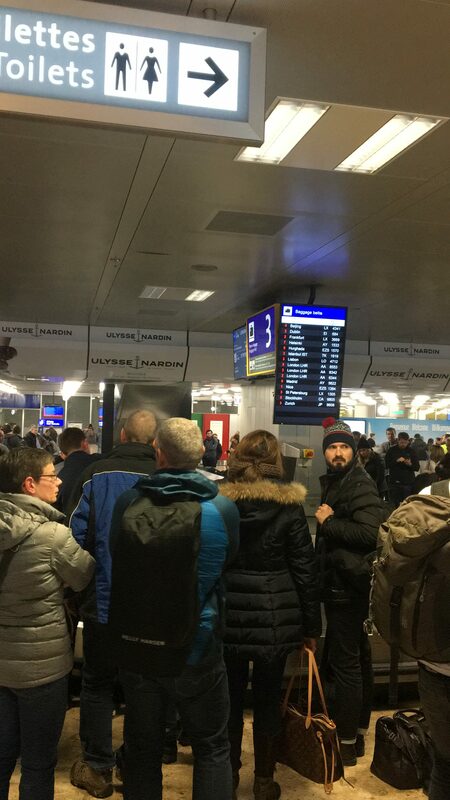 Extremely poor experience at Geneva airport - I rate this as one of the worst airports I've passed through in terms of their absolute inability to handle busy periods. We went through on Jan 8th which coincided with Russian holiday and as a result the place was busy with skiers heading home. However there was no system for the check in process; we all had to mix it together a long snaking queue for about 1hr to get to our check in desk - having finally been checked in we headed to security where we spent another 50 minutes standing in line while shuffling slowly forward - a horrible experience! The only positive I can pull from the experience was the rather lovely restaurant on the top floor where we abandoned ourselves for 90 minutes before heading for check in - it was pricey but provided gorgeous fare and is the only reason for those 2 stars the rest left a lot to be desired. GVA does not rank among my favorite airports. 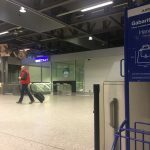 On the positive side: airport has its own railway station with regular connections to downtown Geneva (10 mins travel time) as well as major Swiss cities. Airport terminal and lavatories very clean. Many annoying issues however: Air France flights depart from the French Sector which is hard to find - you have to look for a small sign displaying "Destination France". French Sector is basically a limited area at the very end of the building. Self-service check-in hassle-free but very long queues at security - no Fast Track for status passengers; only one lane open while other screeners just kept chatting with each other. There is not much to do airside - two small duty-free shops and an overpriced cafe; hardly any view on the apron. All in all Zurich is much more enjoyable. 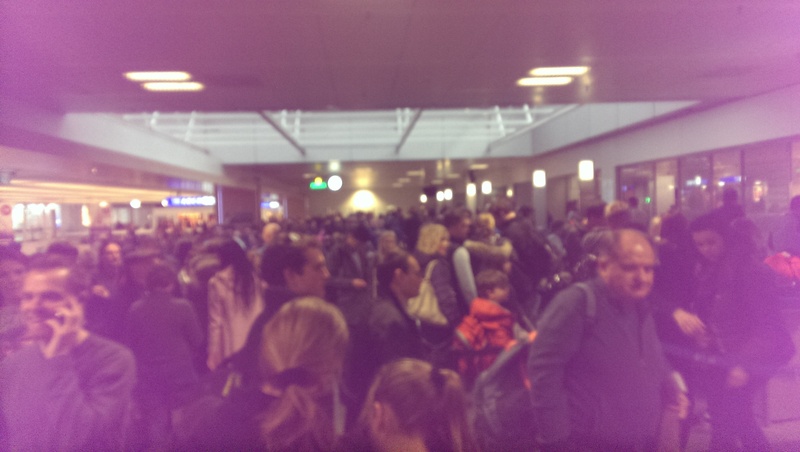 Like the previous comment the security lines at Geneva really need to be addressed. They are the ones that implemented the new system of security prior to the departure lounge but they do not open enough of the security lanes only 4 out of 12 or so lanes open and a wait of over 20 minutes to get through - simply not good enough. Geneva runs the danger of getting a bad reputation due to this inept system especially when you see the calm efficiency at Zurich! 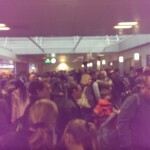 Travelling home from Geneva 08 March once again demonstrated to me how inept this airport really is at managing the security queues. Whilst the infrastructure has much improved since 2008 what is the point in having multiple security check points and opening just 4. Having left plenty of time to catch the plane we were not in danger of missing the flight but a wait time of over 25 mins is unacceptable especially when there must have been 6 - 8 check points closed. The staff appear to have a could not care less attitude. I have been to this airport 3 times but I had always used the French Section. If you don’t know the airport of Geneva is in two countries : Switzerland and France. All the flights going to France (AirFrance) arrives in the French section. Let me tell you something if you will depart from here there is nothing! When you pass the security check there is only a very but very expensive shop with some magazines and chocolates and another of beverages breads etc… So this was my first time at the International section first of all is much bigger but that also means it takes you more to get pass through the security point. After that is like many other airports. Many stores duty free etc and is also nice. But if you are taking a flight out of Europe like to New York with Swiss or in my case Newark with Continental you need to pass a immigration point. After that you arrive to a small area with two stores and free internet. Then you can board your plane. So I can say knowing this airport pretty good that is a clean “modern” and with many facilities. But I cant say the same thing for the French sector is actually kind of bad. Small airport but if you're not departing from the main terminal you have to walk a long end. Passport control/customs on arrival no queues (they've removed passport control). On departure small queue with passport but at security bit long. No efficient screening. Not much shops and food-outlets after screening so buy some snacks before entering the terminal. Not much seats in the waiting area could improve. 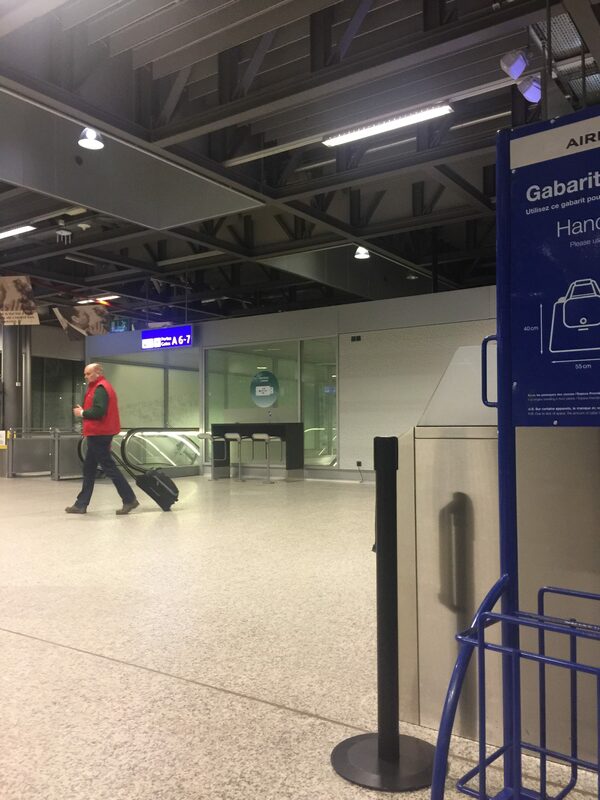 When I last arrived at Geneva Airport I made two very brief telephone calls in one of the telephone booths using my credit card. When looking at the screen I had the impression that each call was several cents but on receiving my bank statement I see that each call was in fact over 19 Euros! 100 times more than I expected!! I assume that there was some mistake as I certainly saw no warning on the booth that there was a minimum price so I contacted the airport but they said the phone booths were run by Swisscom so I contacted them several times but only received automatic replies. So avoid using your credit card with the phones at Geneva airport! Very efficient Airport. Fast Line for VIP Business and First Class passengers is well indicated and functional. Airport Security Personnel are very efficient and courteous. It take me only 1 minute to pass the security check point. Walking distance are short and sign are well indicated in English which is very helpful for international passengers. It's a French City Airport but the personnel speak well English and make international passengers feel welcomed (You must pass by CDG to appreciate the differences). Shopping offers very large choice of luxury items and Fine Restaurants exist here. Compared to most UK airports GVA is pretty good: not too large OK security OK baggage reclaim and even a gourmet restaurant on the top floor. But it is definitely second best in comparison to ZRH which works better despite being much bigger. In particular the circular gate area used for many of the UK flights was unacceptable: not enough seats to cope with 4 different delayed flights.